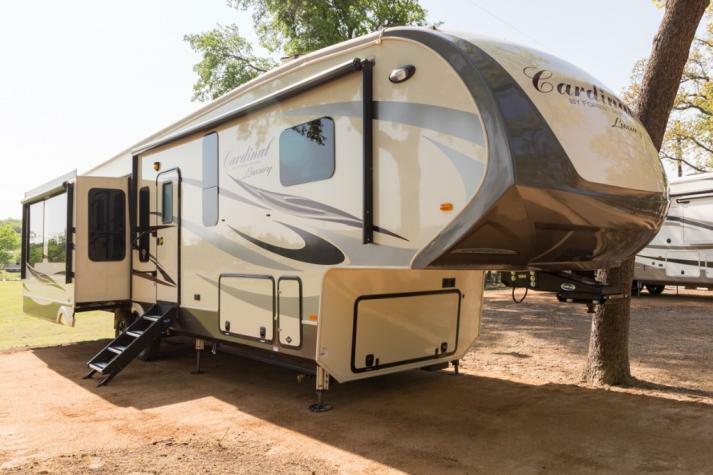 We carry awesome deals on fantastic Forest River RV Cardinal fifth wheels for sale in Texas. 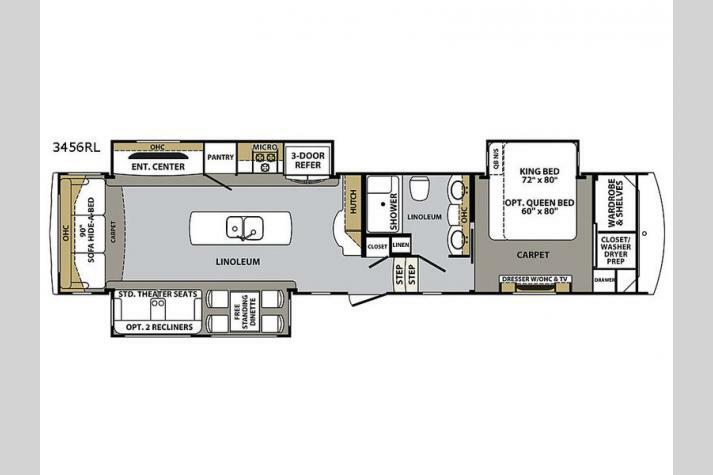 The Cardinal fifth wheel by Forest River is a high quality RV that is crafted with the highest level of attention paid to the little details that make a difference. A luxurious interior promises comfort and escape wherever you are, while the exterior will withstand the wear and tear of travel throughout the country. Inside you'll find crown molding trim and cabinet accents. A well equipped kitchen includes a 30" convection microwave, 8 cubic foot Dometic refrigerator, and a 3 burner high output range with a 22" oven. There's even a cordless Dyson vacuum that makes cleaning easier. We carry fantastic Forest River Cardinal floorplans that we are certain that you will love, including the Cardinal 3350RL, the Cardinal 3825FL, the Cardinal 3250RL, and many more! If you're interested in learning more about these fifth wheels, give us a call or stop by. We are here to help you find the right RV for your needs. We're proud to stock a huge selection of fifth wheels, toy haulers and travel trailers for sale in Texas and are sure to have the unit that will work for your family. 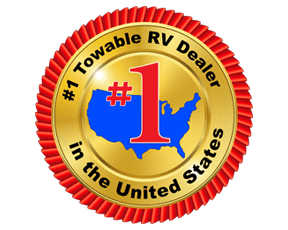 Contact us at the top RV dealer in TX to find out more here at your top Forest River Cardinal dealer in Texas.